It is the purpose of this Statement to set out briefly and simply the substance of the Church's faith. No attempt is made to answer all the questions which people may reasonably ask in regard to God and man and salvation. But we believe that we have included what is essential to the life of the Church. The Church's faith is the unchanging Gospel of God's holy, redeeming love revealed in Jesus Christ. 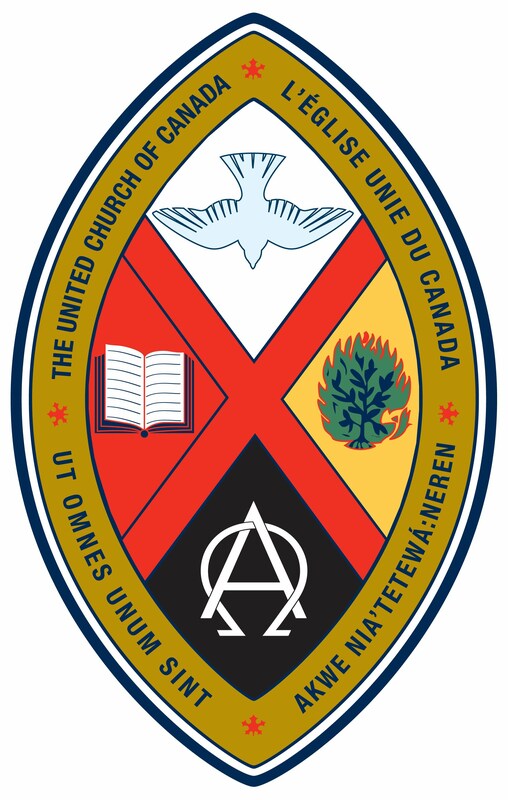 It is declared in Scripture; it is witnessed to both in the creeds of the Universal Church and in the Confessions of the Reformed Churches; and it is formulated for a specific purpose in the United Church of Canada's Basis of Union. As a church, we are seeking to be faithful to Scripture and to the testimony of the Universal Church, and always aware that no statement of ours can express the whole truth of God. We believe in God, the eternal personal Spirit, Creator and Upholder of all things. We believe that God, as Sovereign exalted above the world, orders and overrules all things in it to the accomplishment of holy, wise, and good purposes. We believe that God made mankind to love and serve Him; that He cares for all as a righteous and compassionate Parent; and that nothing can either quench His love or finally defeat His gracious purpose for people. So we acknowledge God as Creator, Upholder, and Sovereign of all things, and the righteous and loving Parent of people. We believe in Jesus Christ, the Son of God who, for us and our salvation, became a man and dwelt among us. We believe that He lived a perfect human life, wholly devoted to the will of God and the service of man. We believe that in Christ God comes face to face with people; so that they learn that God loves them, seeks their good, bears their sorrows and their sin, and asks for their exclusive faith and perfect obedience. We believe that in Jesus Christ God acted to save mankind, taking, at measureless cost, man's sin upon Himself; that the Cross reveals at once God's abhorrence of sin and His saving love in its height and depth and power; and that the Cross is for all time the effectual means of reconciling the world unto God. We believe that Jesus was raised victorious over death and declared to be the Son of God with power; and that He is alive for evermore, our Savior and our Redeemer. So we acknowledge Jesus Christ as the Son of God Incarnate, the Savior of the world. We believe in the Holy Spirit by whom God is ever at work in the minds and hearts of all, inspiring every right desire and every effort after truth and beauty. We believe that the Spirit of God moves people to acknowledge their sins and accept the divine forgiveness and grace. We believe that the Spirit was present with power at the beginning of the Church, enabling the disciples to bear witness to what they had seen and heard, filling them with love for one another, and hope of the coming Kingdom, and sustaining them in the sense of Christ's continuing presence in their midst. We believe that by the same Spirit the Church is continually guided and empowered, and its members fortified against temptation, fear and doubt, and built up in faith and holiness unto salvation. So we acknowledge the Holy Spirit as the Giver of life, through whom the creative, redeeming love of God is ever at work among mankind. Knowing God thus, as Creator and Parent, as Redeemer in Christ, and as Holy Spirit working in us, we confess our faith in the Holy Trinity. So we acknowledge and worship one God; Creator, Redeemer & Sustainer. We believe that God gave to humans, as He did not to the lower creatures, capacity to share His thought and purpose, and freedom to choose whether we would or would not love and serve God. We believe that people have used this freedom of choice for low and selfish ends, becoming estranged from God and others, and bringing on the judgment and wrath of God, so that we live in a world of confusion and distress, and unable to fulfill God's high purpose for the world. So we acknowledge our sin, God's righteous judgment, and our helplessness and need. We believe that in the greatness of love for us God has, in Christ, opened up a way of deliverance from the guilt and power of sin. We believe that Christ, by living his life without sin, by dying at the hands of sinful people with faith unshaken and unfaltering love, has done for us what we could not do for ourselves. On the Cross Christ bore the burden of sin, and He broke its power; and what He did there moves us to repentance, conveys forgiveness, undoes the estrangement, and binds us to God in a new loyalty. We believe that by His resurrection and exaltation Christ stands victorious over death and all evil, and that He fills those who commit themselves to Him with such grace and strength that in Him they, too, are conquerors. So we acknowledge the unmerited love and the mercy of our God in giving God's only-begotten Son that we might not die, but have everlasting life. We believe that the Church, the society of the redeemed, was brought into existence by God Himself through the work and risen power of Christ, who in calling us into fellowship with Himself calls us by the same act into fellowship with one another in Him. We believe that the Church is the organ of Christ's mind and redemptive will, the body of which He is the Head. Under Christ the Church is called to the proclamation of the everlasting Gospel with its offer of salvation, to the worship of God, Creator and Redeemer, to the loving service of mankind, and to the care and nurture of the body of believers. We believe that all members of the Church are one in Him, and that the life of the Church in every age is continuous with that of the first apostolic company. The groups commonly known as "churches" are called to share in the life of the whole Church, of all ages and of all lands, entering freely into the full heritage of thought, worship, and discipline, and living together in mutual confidence. We believe that for the fulfillment of God's mission in the world God has given to the Church the Ministry, the Scriptures and the Sacraments. So we acknowledge one holy, catholic, apostolic Church, the Body of Christ, the household and family of God. We believe that God has appointed a Ministry in the Church for the preaching of the Word, the administration of the Sacraments, and the pastoral care of the people. We believe that the Church has authority to ordain to the Ministry by prayer and the laying on of hands those whom it finds, after due examination, to be called of God thereto. We believe that God has appointed a government in the Church, to be exercised, under Christ the head, by Ministers and representatives of the people. So we acknowledge the Holy Ministry appointed by God for the spread of the Gospel and the edification of His Church. We believe that the great moments of God's revelation and communication of Himself are recorded and interpreted in the Scriptures of the Old and New Testament. We believe that, while God uttered His Word in many portions progressively, the whole is sufficient to declare His mind and will for our salvation. To Israel He made Himself known as a holy and righteous God and a Savior; the fullness of truth and grace came by Jesus Christ. The writings were collected and preserved by the Church. We believe that the theme of all Holy Scripture is the redemptive purpose and working of God, and that herein lies its unity. We believe that in Holy Scripture God claims the complete allegiance of our mind and heart; that the full persuasion of the truth and authority of the Word of God contained in the Scripture is the work of the Holy Spirit in our hearts; that, using Holy Scripture, the Spirit takes of the things of Christ and shows them unto us for our spiritual nourishment and growth in grace. So we acknowledge in Holy Scripture the true witness to God's Word and the sure guide to Christian faith and conduct. We believe that the Sacraments of Baptism and the Lord's Supper are effectual means through which, by common things and simple acts, the saving love of God is exhibited and communicated to His people, who receive them in faith. We believe that in Baptism believers are made members of the Christian society. Washing with water in the name of the Father, the Son, and the Holy Spirit signifies God's cleansing from sin and an initial participation in the gifts and graces of the new life. The children of believing parents are baptized and nurtured in the family of God so that they may in due time proclaim their own faith in Christ. We believe that the Lord's Supper perpetuates the fellowship between Christ and His disciples sealed in the upper room, that at His table He is always present, and His people are nourished, confirmed, and renewed. The giving and receiving of bread and wine accompanied by His own words signifies the gracious self-giving of Christ as suffering and living Lord in such wise that His faithful people live in Him and He in them. So we acknowledge Baptism as God's appointed means of grace at initiation into the Christian fellowship; and the Lord's Supper as His appointed means of maintaining the fellowship in health and strength, and as the act of worship in which the whole soul goes out to God and God's grace comes freely to all. We believe that the Christian life is the life lived in fellowship with Christ and His Church. It begins with repentance and faith. In repentance we turn from sin to serve the holy and forgiving God with new and glad obedience. In faith we entrust ourselves to Christ and rest upon Him alone for salvation. We believe that by the teaching and example of Jesus the Holy Spirit shows us the way and the end of the Christian life, what it means to love God with all the heart and soul and mind and strength, and to love our neighbour as ourselves. We believe that Christians are called to abide within the fellowship of the Church, to maintain its peace and unity, and to give diligent heed to prayer, to the reading of Scripture, to common worship and the sacraments. We believe that they are likewise called to live as those who are of the Kingdom of God, and to seek God's righteousness both in individual and social life, serving others in love for Christ's sake, and striving and waiting in prayer for an ordered common life where the will of God for the well-being and peace of all shall be done over all the earth. We believe that in denying themselves and in following Christ we are enabled by the Spirit of God more and more to die unto sin and live unto righteousness; that we are, under the hand of a faithful God, in labour, love, and duty, in suffering, sorrow and defeat, renewed in the inner person after the image of the crucified and victorious Christ; and that we receive in this life a foretaste of the final redemption, assurance of the divine favour, peace and joy, and the confidence that God is able to keep us to the end. So we acknowledge the Christian life as the life lived within the family of God, with the graces and privileges, the duties and discipline, through which the Christian grows up in all things into Christ. We believe that the resurrection and exaltation of Christ, following on His crucifixion, gives assurance that the long struggle between sin and grace will have an end, the Kingdom be revealed in its fullness, and God's eternal purpose accomplished. We believe that God will judge all by Jesus Christ, the Son of Man. We believe that, while salvation is offered to all, God does not take away or override the freedom with which He has endowed us. If we stubbornly refuse His mercy and prefer sinful ways we shut ourselves out from the light and joy of salvation and fall under the righteous judgment of God. We believe that those who accept the offer of salvation and persevere in the Christian way do after death enter into the joy of their Lord, a blessedness beyond our power to conceive. They see God face to face, and in the communion of saints are partakers with the Church on earth of its labours and prayers. So we acknowledge the righteous and merciful judgment of God and we wait for the coming of the Kingdom which shall have no end.